Are you restoring a bus? Look here for help The website of a bus enthusiast that has 4, 5, no, 6, oh, hold on, 7 buses on the go! TROLLEYBOOKS looks well worth a visit for the more specialist enthusiast. A website covering Hampshire Bus and Coach Preservation. Bristish Bus Preservation Group. A site that is updated on a regular basis, well worth adding to your favorites list. 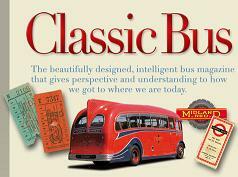 A Classic Bus Mag website. The Routemaster, If you want to buy one, repair one or convert one, its here. A long established organisation that has a long list of specialist publications for sale.